Is Margarine Dairy: Can You Eat It If You’re Lactose Intolerant? Is Margarine Dairy: Can You Eat It If You’re Lactose Intolerant? 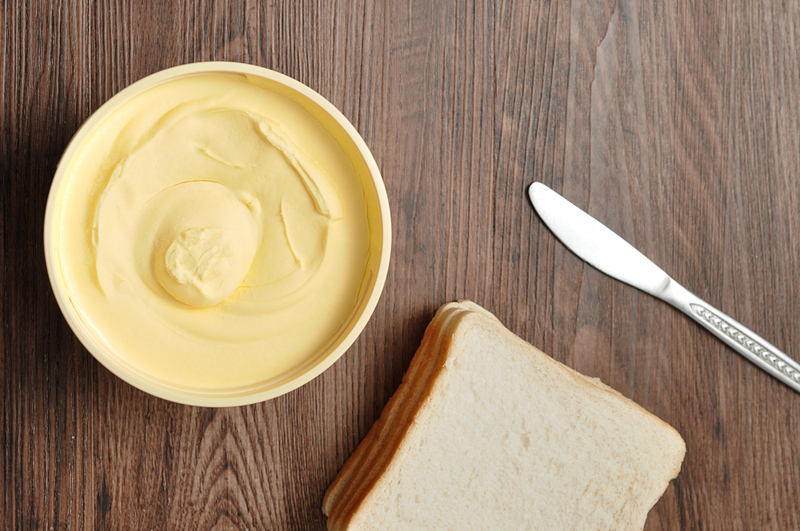 →Is Margarine Dairy: Can You Eat It If You’re Lactose Intolerant? Is Margarine Dairy: Can You Eat It If You’re Lactose Intolerant? Margarine is a substitute for butter, which you can usually find in the dairy section of the grocery store and is nestled next to butter. Many of you might think that margarine is a dairy product based on its location in the store. For a food product to be considered dairy, its main ingredient should be milk and we are here to find that out. If you are curious about what margarine is made of, you might have asked this question: Is margarine dairy? In this post, I am going to discuss with you its main ingredients, the advantages, and disadvantages of consuming margarine, as well as its comparison to butter. I hope that you will learn valuable information after reading this article. In order to determine if margarine is dairy, we need to take a closer look at its main ingredients and we have to make sure that milk is not one of them. This is very important because not all people can consume dairy products, especially those who are lactose intolerant. It is vital to be informed that not all margarine is created equally. There can be variation in every popular brand of margarine and this is the reason why checking the label is important. It is also interesting to know that unlike butter, margarine is not something you can make at home; it commonly is store bought. Margarine and butter have a lot of similarities, which will be discussed in the later sections. One thing they share in common is that both of them must have a minimum 80% fat content, which is imposed by the law. Anything less than 80% will be considered a spread. The margarine and spreads that you can find in the dairy aisle of the grocery store can range from 10% to 90% fat and depending on its content, there are also variations when it comes to the levels of water and vegetable oil. Those that contain a lower content of fat usually have a higher percentage of water content. Margarine’s main component is vegetable oil. It does not have the saturated fat and cholesterol that you find in butter. However, it does have a higher percentage of monounsaturated and polyunsaturated fats. It is also interesting to know that palm kernel oil or simply palm oil can lessen the trans fat content found in margarine. The margarine brand I Can’t Believe It’s Not Butter! is made from purified water, palm kernel and palm oil, natural flavors, soybean oil, salt, lecithin, vitamin A palmitate, coloring, and vinegar. Imperial Spread is made from purified water, soybean oil, salt, mono and diglycerides, soy lecithin, natural flavors, vitamin A palmitate, and palm oil. What Are The Health Benefits and Negative Aspects Of Margarine? As mentioned above, margarine is made up of 80% fat, which is a combination of unsaturated and saturated fats. The saturated fats that you find in margarine can range from 7% to 86% and it depends on the type of the vegetable oil used. The fat in margarine contains vitamins A, D, E and K.
Another great health benefit of margarine is that it has alpha-linoleic acid, commonly known as ALA, and is an omega-3 fatty acid. This component is known to lower levels of cholesterol, reduce inflammation, as well as triglyceride levels. Some brands, on the other hand, have flax seed or fish oil that increases the amount of omega-3 acids. Margarine, however, also has disadvantages, especially when consumed in excess. The process wherein margarine is made, referred to as hydrogenation, causes margarine to become saturated and result to trans fat. We all probably know that trans fat is harmful to the body over time. Trans fat has shown to increase the risk of heart diseases, as well as bad cholesterol. 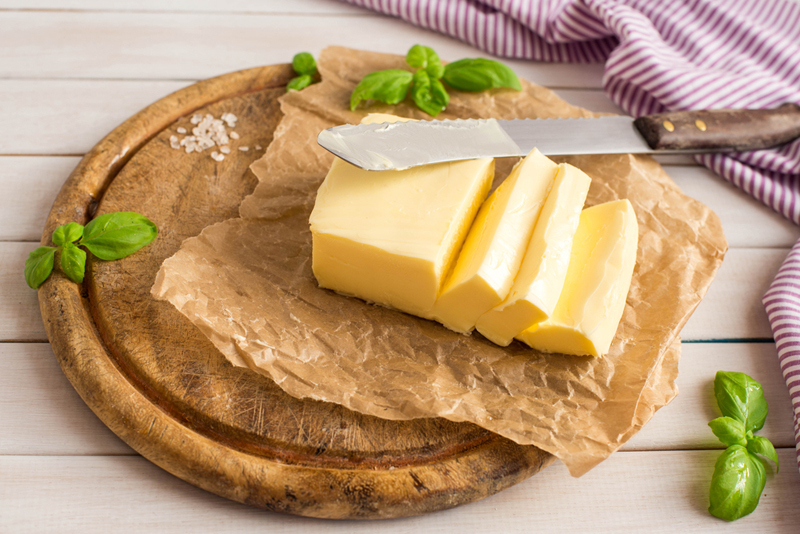 Consuming too much margarine can also increase LDL levels and reduce good cholesterol or HDL. In addition, studies have also shown that too much margarine consumption may lead to cancer and other chronic illnesses. 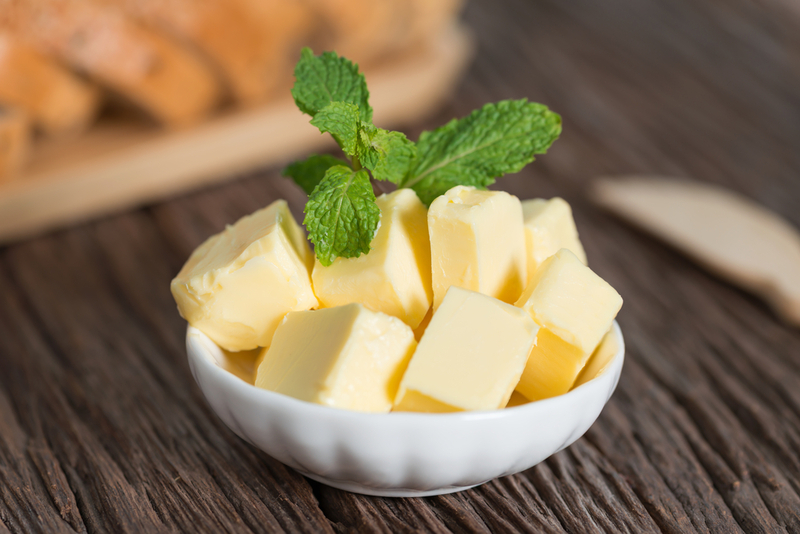 Which Is Better: Margarine Or Butter? Margarine, as discussed above, is not a dairy product. However, butter is. There are different distinctions that separate margarine and butter apart and that is the type of fat found in it. Butter is derived from animal fat while margarine is derived from vegetable oil. This distinction clearly has an impact on each other’s texture, taste, and nutrition. If you are substituting one to the other, it is best that you follow what’s on the recipe, especially when making baked goods. Margarine has lower fat content than butter and it contains more water. This would also mean that the baked goods would be tougher in terms of texture. Just remember to use both of them in moderation. Margarine is not considered a dairy product because it does not have milk in it. For a food item to be considered dairy, milk should be the main ingredient. People who are lactose intolerant can consume margarine because it is not a dairy product. Margarine has a lot of vitamins including A, D, E and K and is known to have a generous content of omega-3 fatty acid. However, margarine also has a lot of disadvantages such as its high level of trans fat, which can be very harmful to the body. Margarine and butter are two different food items because of its components. Margarine is made of vegetable oil while butter is made of animal oil. If you are substituting, make sure that you observe moderation. Do Marshmallows Have Dairy: Can People Who Are Lactose Intolerant Eat Them? Is Mayo Dairy: Can You Eat It If You Are Lactose Intolerant?